The update allows people to keep better track of their banking accounts, and can even help prevent fraudulent credit card activity, like this story from CNET. Plus- 9 to 5 Mac reported that you can now actually pay for parking and rent using Apple Pay. Even though the new features of Apple Pay easily add to “The Death of the Wallet,” you’ll still need an easy way to carry around your I.D., train or bus cards, and of course, a couple of folded bills for your favorite cash-only corner store. Your solution? 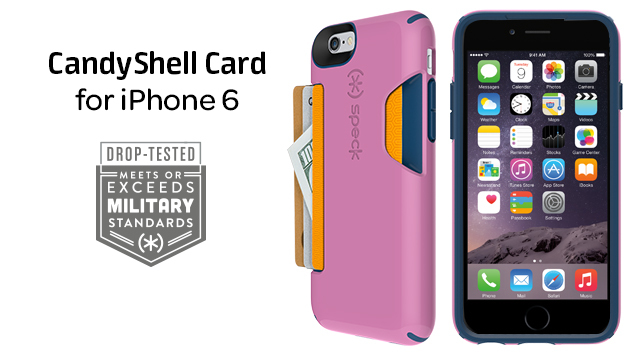 CandyShell Card for iPhone 6, the perfect complement to everything you love about Apple Pay. Shop today!